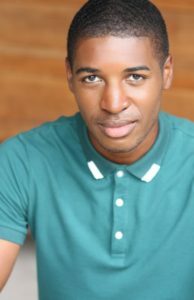 Gilbert has been seen in The Little Mermaid, Legally Blonde, Cabaret, and Elf (Paramount Theater), Madagascar (Children's Theater of Madison and Chicago Shakespeare Theater). Other credits include: Simon Peter in Jesus Christ Superstar (Paramount Theater), Gabe in Next to Normal (BoHo Theater), Porchlight Music Theater’s Dreamgirls as C.C., Seaweed in Hairspray at the Paramount Theater, Seaweed (Little Theater on the Square), Jim in Big River (Little Theater on the Square), Audrey II in Little Shop of Horrors (Little Theater on the Square), Phil/Dance Captain in The Wild Party (Bailiwick) and Phillip/ensemble in Dessa Rose (Bailiwick) A graduate of CCPA at Roosevelt University, Gilbert was named a "Hot Face of Chicago Theater” (2016) by the Chicago Tribune. Her authenticity and unmatched knowledge of the voice are what inspired me to want to continue working with her long after college, not to mention her down to earth personality. She challenged me to find MY voice, realize the potential and artistry that I possessed, and work to break vocal habits that could cause me not to have a sustainable career. I have found that Rebecca drives and supports her students in order to get them where they want to be in their career. I speak not only from my own experience but also from observing the careers and paths of many or her students. As her student, you will be challenged, but definitely not disappointed!